When he and his brothers bought the Spokane Indians in 1985 – sales price: $137,000 – Bobby Brett “figured we’d get bored with it after a couple of years” and sell. 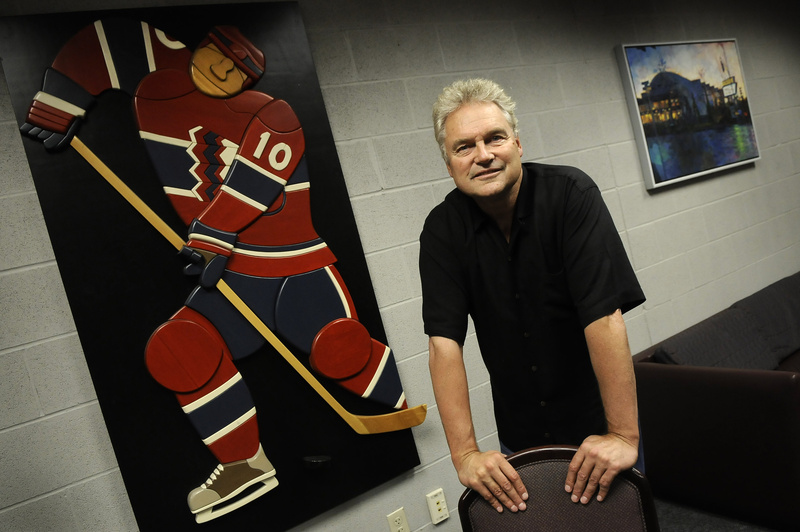 Some years after that, the brothers – Bobby, John, Ken and Baseball Hall of Famer George – added the Spokane Chiefs to their portfolio and Brett moved up from California to oversee the acquisition. He rented a house. For six months. Now, professional baseball in Spokane has completed 25 seasons under Brett ownership; the hockey team, 20. Along the way, he’s also bought and abandoned a soccer team, jousted and made up with various governmental landlords, tried to live down a WWE-ish sidewalk encounter with a former mayor, lost his brother Ken to the cruelty of cancer, made a run at buying a Major League Baseball team and turned his two Spokane franchises into model operations of their kind. Nearly 9 million spectators have taken in Brett productions here, including events like the Memorial Cup, NHL exhibition games, the Northwest League All-Star Game and the USISL Premier League finals. Q: Twenty-five years is a long time in the minor-league sports business. Why have you stayed with it? A: One thing that was interesting to me, I come up in 1985 from California and for lot of people from California coming to the Northwest, they have two strikes against you. But right away, the people in Spokane treated me so well – whether it was the county, sponsors, whoever. Maybe it’s because I had a fancy last name, I don’t know. But I enjoy everything about the sports business. I have the best job of anyone I know – better than George. Q: Any truth to the rumors that you’re ready to get out – that the Chiefs, in particular, are for sale? A: No. I got a call (from former Chiefs and current Detroit Red Wings coach) Mike Babcock about four months ago, “What’s this I hear you’re selling the team?” I was selling my house, not the team. A lot of people assumed when my son went off to college that Bobby’s back to California, but that’s the furthest thing from the truth. I do want to spend more time in California – especially during the winters. But this is home. I tell people, every apartment building I own, I would entertain an offer on. But the Indians and Chiefs, out of all the assets I own, those are the only two I don’t think I’d ever sell. Well, not ever. But I have no desire to. I live in Spokane. If I don’t own the teams, what would I do? If someone came up to me to make an offer, I would say I don’t want to hear it – I wouldn’t even want to entertain it. Q: Critics say your leases are sweetheart deals. What do you tell them? A: You always get that. But you want us to be profitable. If we’re profitable, we can invest back into the community, and we can keep good people like Andy Billig and Tim Speltz and Otto Klein. Early on with the city – it was the SEACAB board at the time – we had a real adversarial relationship. There was a certain attitude on that board that it was only a good deal for the city if the hockey team couldn’t make a nickel. Looking back, we put a gun to their head – if we didn’t get a new lease, we won’t buy the team. We needed to share in more revenues and try to work towards a partnership. That model of that first lease is the same model we have today. Q: Has the economy impacted your hockey team from a competitive standpoint? A: We always believed we were a development league for players, and also took that approach with coaches. We haven’t hired the ex-NHL guy like some teams – I think there are four in the league. So this last hire, we had to adjust our plan a little bit to bring on Don (Nachbaur). That cost us more money. But it’s always a juggling act. Tim made the recommendation that this was the right guy at the right time and the business has changed. Q: You were first approached with the notion of indoor football, and passed. Are you surprised at the success of the Shock? A: I questioned whether the business model would work. Now look at what Brady (Nelson) and his staff have done – it’s unbelievable! Shows what I know. Why are they so successful? Well, they’ve done a good job – they’ve won games, done a great job of marketing and promotion. And Spokane didn’t have a football team. It’s Spokane’s team. Eastern Washington had that chance at one time, but it’s gone. Q: Do you regret passing on that? A: No. It’s in the right hands. A: When we tried to buy the (Kansas City) Royals, I should have worked harder to find the right financial partners to pull it off. You need some heavy hitters. It’s about putting together the investor group and convincing them you’re the right guy to lead the process, and I think I had the capability to do that. Q: What do you feel best about? A: Being a good community partner. Providing affordable family entertainment. When people think of the Chiefs and Indians, they have a good feeling. We’re not going to make everyone happy, but when I have friends come to the game, I’m proud of the show we put on. Q: Why the outdoor hockey game? A: I like these projects and I think you can get stale if you don’t do something new. It energizes your staff and freshens your brand. Q: Would Albi have been a better venue? A: That’s the first place we looked, and the mayor and her people were fabulous. But the one issue we had was with the turf. There had to be assurances that it wouldn’t ruin the turf. Now, these games have been on turf before with no problem, but we can’t take a bunch of liability and find out a year later that we have to put a million dollar turf in. It was just taking too long to work out and we couldn’t take the risk. Selling 6,800 seats will be easier – even with prices higher – but I think we could have put 20,000 into Albi, and I think that would have been electric.